After a long hiatus, meoWS is back! There are a few projects lined up for this year which will touch on navigation and IMUs, analog electronics, clocks and perhaps some RF circuits. I hope to also work on some more projects involving software, especially iOS development so stay tuned for neat projects and potentially useful blog posts! Today, I will show off some Christmas cards that I made for some friends. I have been experimenting with paper circuits for quite some time. 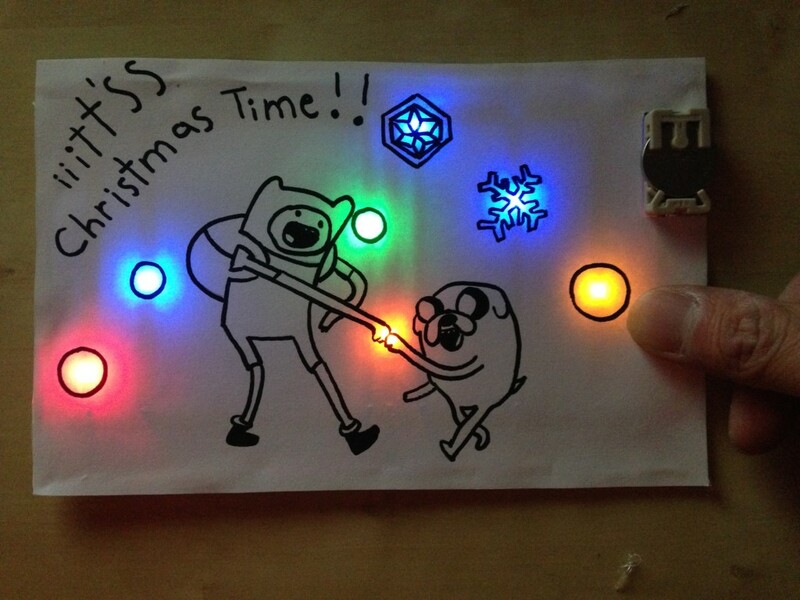 My very first card consisted of a few LEDs, a microcontroller and some tracing paper to diffuse the LEDs. It didn’t do very special things other than flash pretty lights. Over time, each card had changes from the previous iterations.